LG's 65-inch foldable prototype OLED TV will be showcased at the ongoing Consumer Electronics Show (CES) in Las Vegas this week. 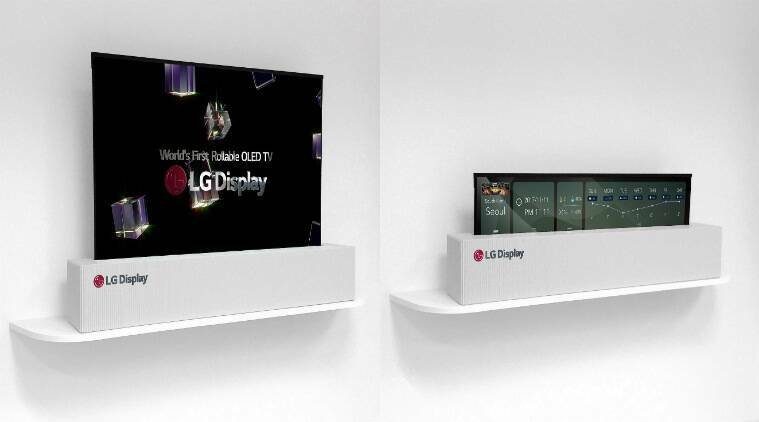 LG Display will be showing off the world’s first 65-inch UHD rollable OLED TV at the annual Consumer Electronics Show (CES) this week. The company says a new prototype display that measures 65-inches can be rolled up like a sheet of paper when not in use. Since OLED displays are lightweight, LG believes its 65-inch flexible display TV can be easily moved and stored, allowing for “better space utilisation”, something existing displays can’t deliver. LG Display isn’t ready to share technical details about the prototype OLED TV just yet, but the company did mention that it boasts 4K Ultra High Definition (UHD) resolution. The company has been working on an idea of a foldable display TV for quite a while. At CES 2016, LG had showcased an 18-inch foldable display prototype that rolls up like a newspaper. This year, however, the company appears to be even more confident about the prospects of a 65-inch foldable display TV. It’s hard not to be believe that LG has been a pioneer in the TV space, along with its arch rival Samsung. Last year, LG announced its Signature OLED “wallpaper” TV at CES 2017. It measures only 2.75mm and hangs onto a wall using magnets. Other than the 65-inch OLED foldable OLED TV, LG will also showcase the world’s first 88-inch 8K OLED TV. The LG-made TV has a resolution of 7680 x 4320, which is 16 times the resolution of your Full HD (1920 x 1080) TV.